General awareness is a very important aspect for MBA aspirants. This article is aimed at enhancing your awareness about the current news and happenings that occurred globally in this week (23rd July to 29th July). It will help you in your preparation for the competitive exams such as MAT, CMAT, NMAT, SNAP, IIFT, IRMA, FMS, XAT etc. 1. On 27 July 2016, Union Cabinet cleared changes to the Goods and Services Tax (GST) Constitutional Amendment Bill. The changes include dropping 1 percent manufacturing tax and providing guarantee to compensate states for any revenue loss in the first five years of rollout of the proposed indirect tax regime. The existing bill provides that the centre will give 100 percent compensation to states for first three years, 75 per cent and 50 per cent for the next two years. 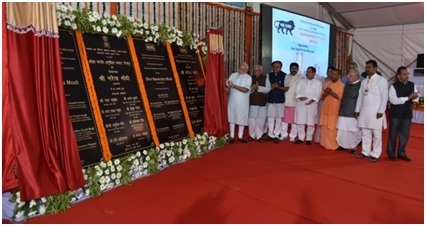 Hindustan Urvarak Rasayan Limited has implemented the plant which is a joint venture between the Coal India Limited (CIL) and the NTPC Limited. The revival of the plant will help the farming community getting urea timely. 3. On 26 July 2016, Flipkart Ltd acquired online fashion portal Jabong through its unit Myntra. This move is aimed to become the market leader in the e-commerce industry. This acquisition will strengthen Flipkart Group's position in Fashion and Lifestyle segment to compete with Amazon Fashion in India. 1. On 24 July 2016, 114-km long Rameswaram-Manamadurai stretch of Southern Railway in Tamil Nadu became India’s first Green Rail Corridor. Southern Railway inaugurated the green corridor via videoconferencing from Chennai Central Station. 2. 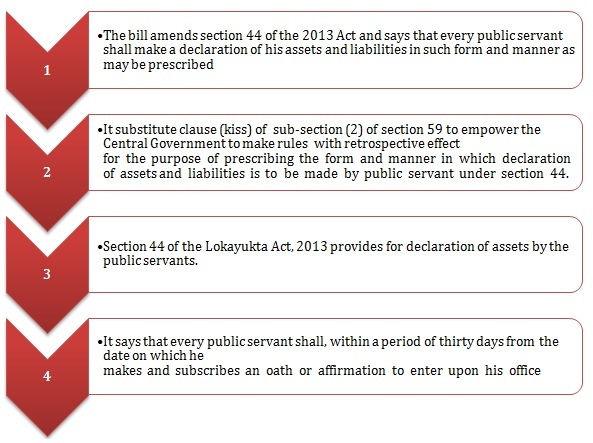 On 27 July 2016, Lok Sabha passed the Lokpal and Lokayukta (Amendment) Bill, 2016. The bill was passed with amendments without any discussion. 3. On 27 July 2016, Lok Sabha passed the Benami Transactions (Prohibition) Amendment Bill, 2015. This Bill seeks to amend the Benami Transactions Act, 1988. The penalty for entering into Benami transactions invites rigorous imprisonment of one year up to seven years, and a fine which may extend to 25% of the fair market value of the benami property. The previous penalty under the Act for entering into benami transactions was imprisonment up to three years, or a fine, or both. 4. On 26 July 2016, Lok Sabha passed the Child Labour (Prohibition and Regulation) Amendment Bill, 2016 to amend the Child Labour (Prohibition & Regulation) (CLPR) Act, 1986. 1. On 26 July 2016, World Health Organization (WHO) declared Brazil free of measles. 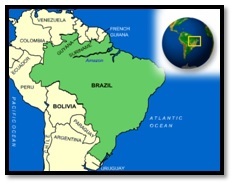 From 1985 to 2000, Brazil saw no domestic cases of measles, although it broke out in 2013 in the northeastern states of Pernambuco and Ceara. WHO worked alongside the Pan-American Health Organization (PAHO) to eradicated the disease, with a joint investment of 335000 US dollar going towards measles control. 2. 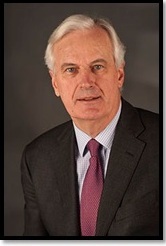 On 27 July 2016, European Union’s executive appointed Michel Barnier, former French Financial Services Commissioner. 3. On 22 July 2016, India provided 100000 US dollar for the Trust Fund in support of victims of sexual exploitation and abuse to United Nations Department of Field Support (DFS). This contribution has rendered India to become the first country in the world to make a contribution to the Trust Fund. 1. On 27 July 2016, International Olympic Committee (IOC) announced that it will launch the Olympic Channel. The channel will be launched on 21 August 2016, at the closing ceremony of the Olympic Games Rio 2016. 2. On 27 July 2016, International Cricket Council (ICC) announced that Muttiah Muralitharan, Karen Rolton, Arthur Morris and George Lohmann will be inducted into the ICC Cricket Hall of Fame. Muralitharan has become the first Sri Lankan player to be inducted into the Hall of Fame. 3. 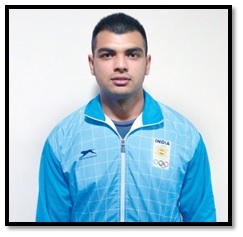 On 26 July 2016, Parveen Rana was named as a replacement for dope-tainted wrestler Narsingh Yadav for Rio Olympics in the 74kg freestyle category. Freestyle wrestler Rana had earlier won a gold medal in the 74kg category at the Dave Schultz Memorial Wrestling Tournament in USA in 2014. 4. on 23 July 2016, javelin thrower from India, Neeraj Chopra became first Indian to win gold in World Athletics championships. He won gold in the IAAF World Under-20 Championships in Bydgoszcz, Poland. The previous record of 84.69m was set by Latvia's Zigismunds Sirmais in 2011.